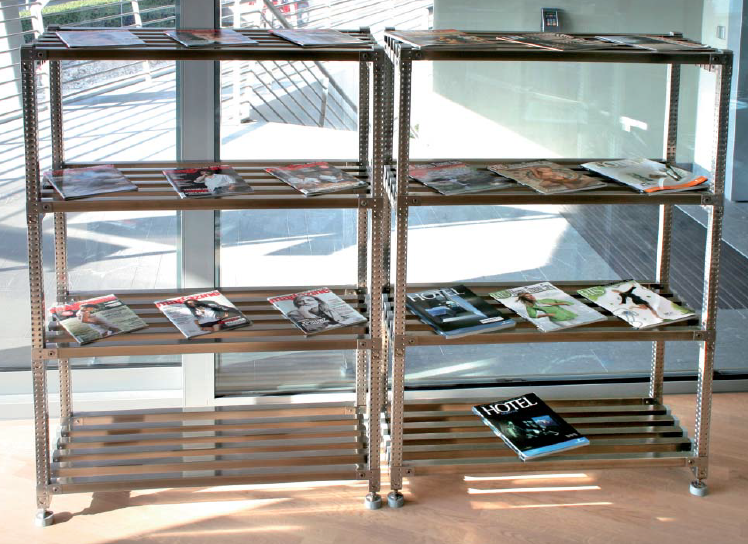 The innovative SUPERINOX stainless steel shelving series provides a comprehensive answer to modern hygiene standards and corrosion resistance requirements for the food, pharmaceutical and chemical sectors. 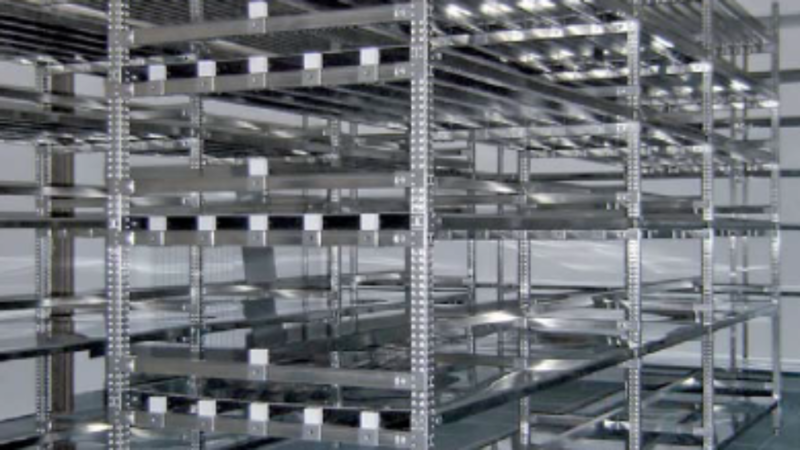 The system has been designed to hinder the formation of condensation or water stagnation and can be supplied with both smooth or slatted shelves. 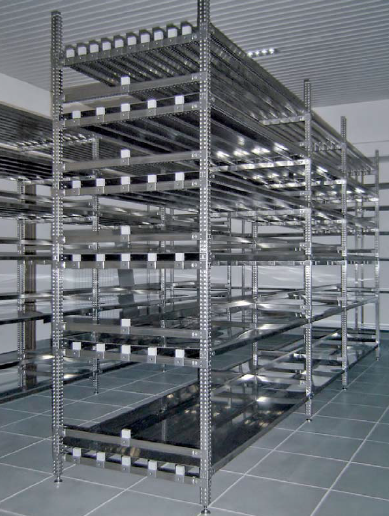 Numerous accessories are also available such as hooks, height adjustable stainless steel foot plates, food grade plastic top caps, reinforced beams for corner units, food grade white, perforated, polypropylene shelf panels, and much more. 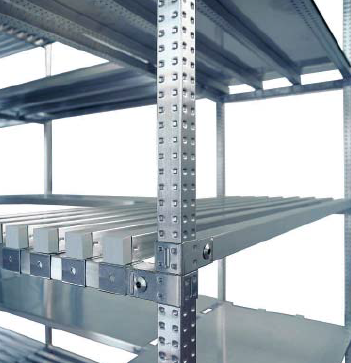 90° corner units maximise storage capacity. 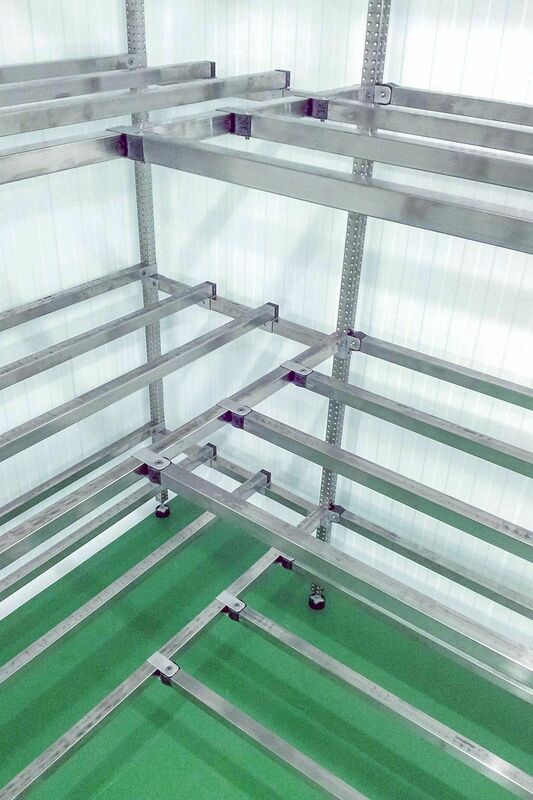 The upright profiles are closed box sections with two rows of dimples, set at a constant pitch of 16.5mm along it full height. 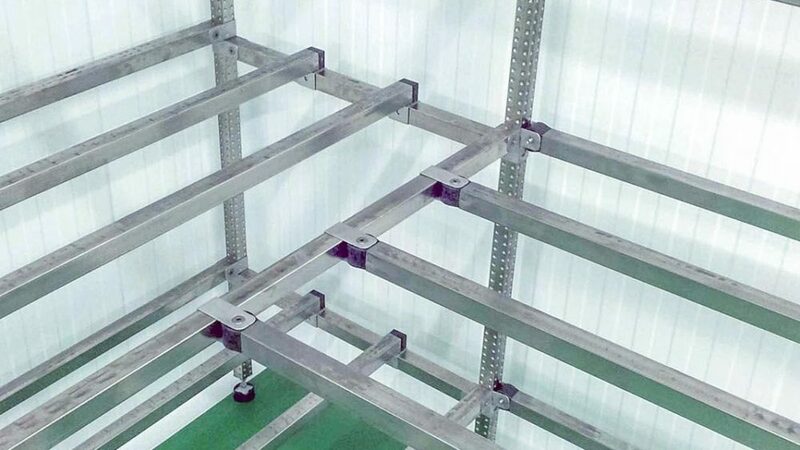 The dimples are used to locate and connect frame spacer bars and beams. 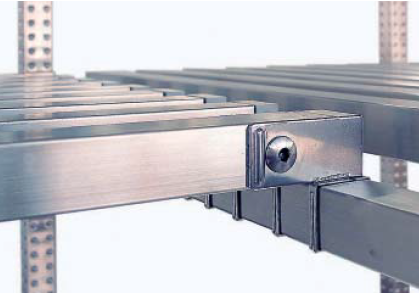 Beams, secondary beams, and spacer bars are smooth on all top faces, containing open drainage slits on the underside of the profiles, thus simplifying cleaning procedures. 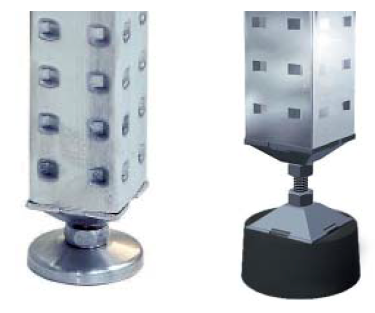 Height adjustable stainless steel and plastic footplates allow the system be levelled on uneven grounds. 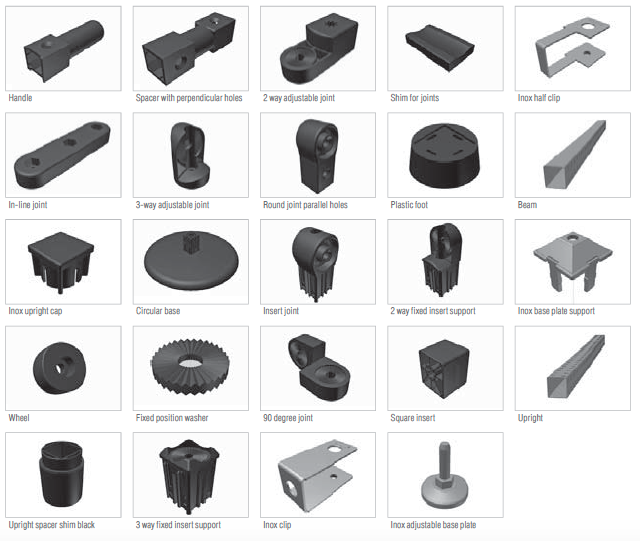 A wide range of plastic and steel connection components are available to achieve the assembly of SuperInox creations. 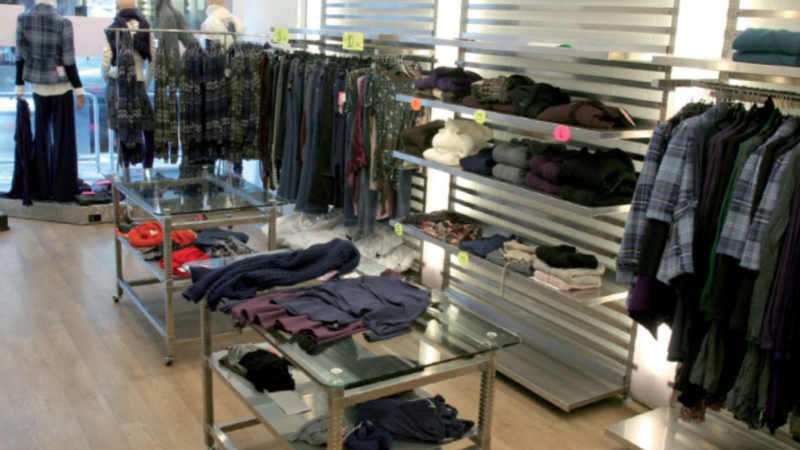 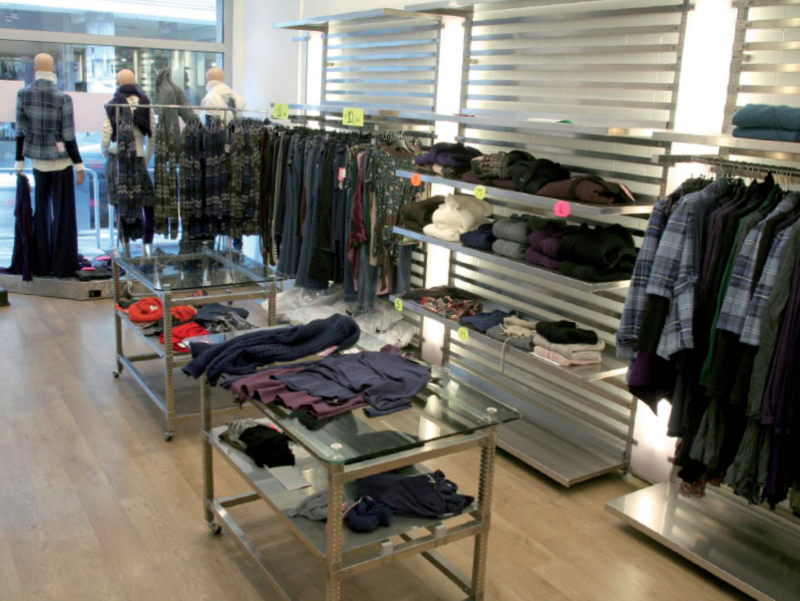 Slatted, plastic, and closed shelf panels are available to suit any need and industry. 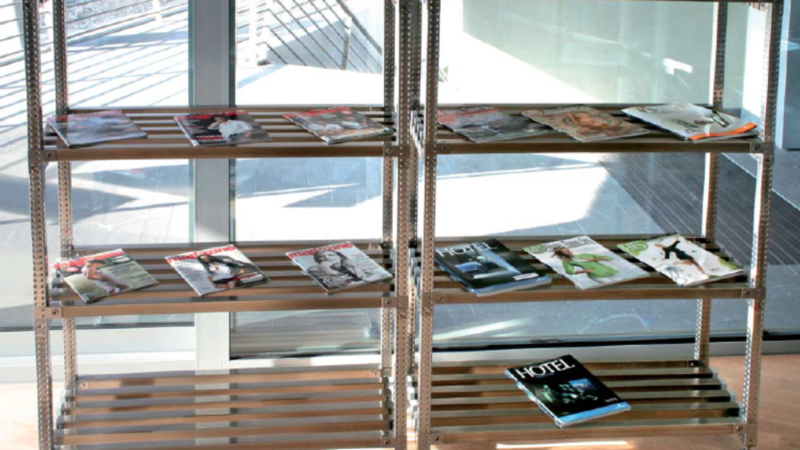 The slatted shelf is created by placing a sequence of secondary beams along the depth of the frame. 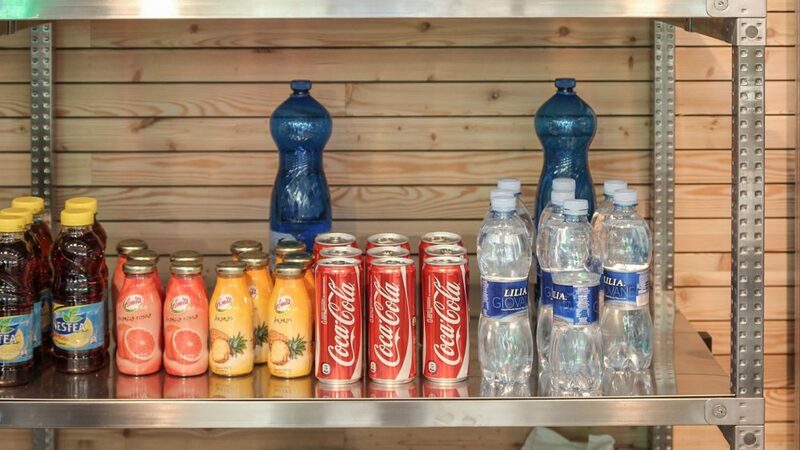 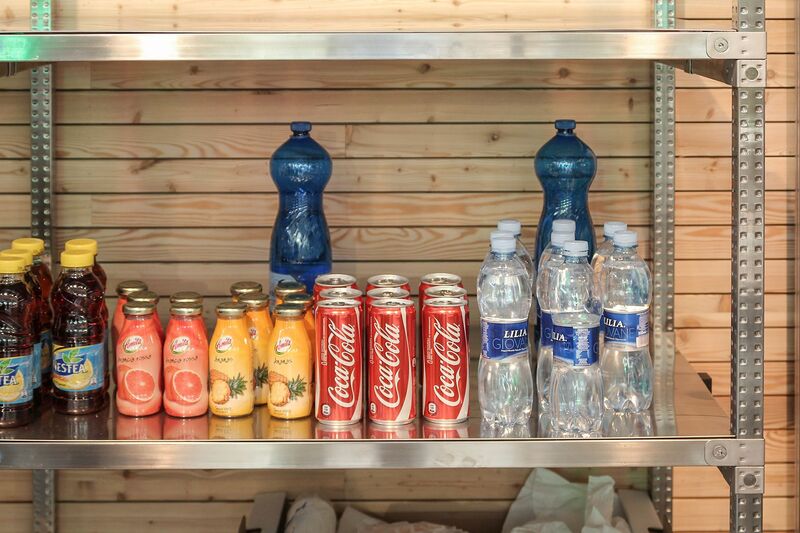 The plastic shelves are perforated panels made from food grade polyamide which span between a pair of beams. 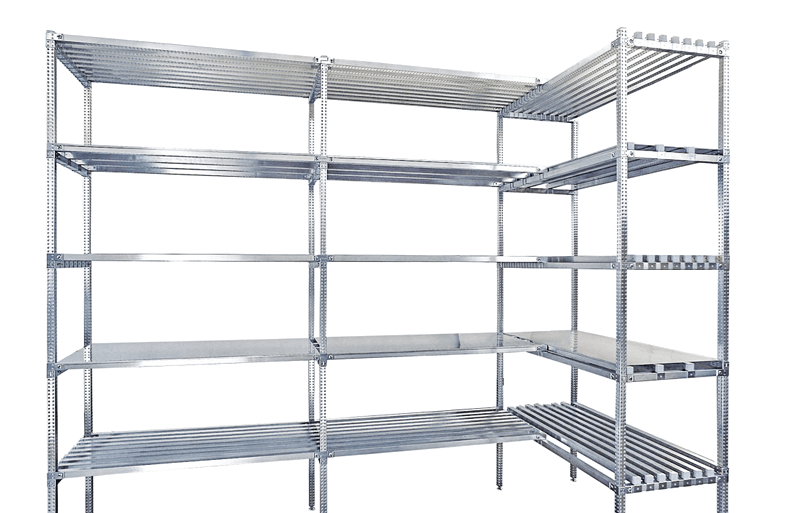 The closed shelves are made from a sheet of stainless steel finished with safety edges resting on a combination of beams and one or more secondary beams depending on the required load bearing capacity.